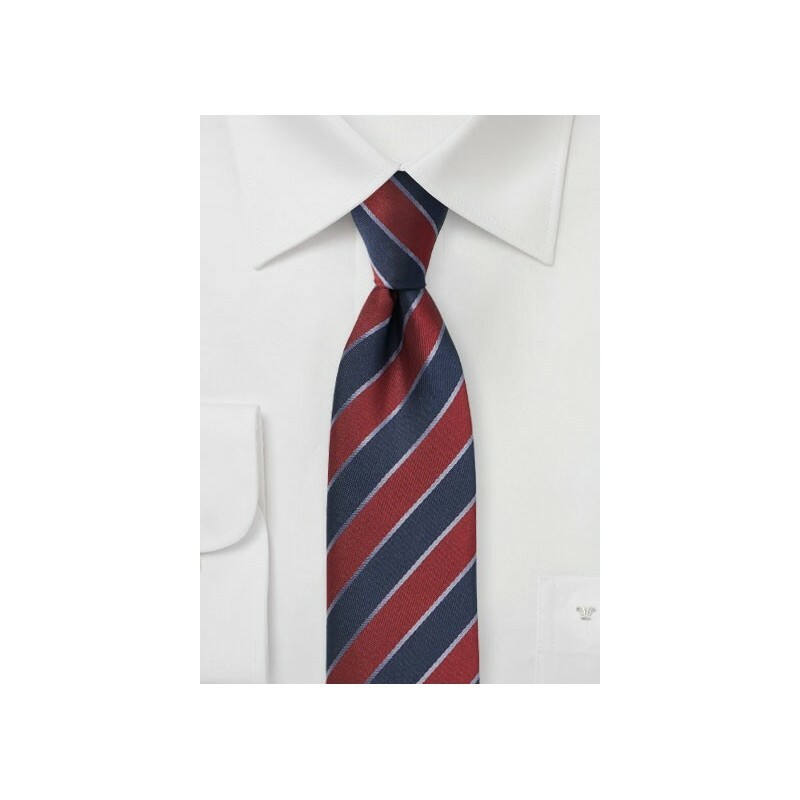 This classic burgundy and midnight blue striped tie creates a traditional design and color palette that is paired with a modern skinny cut of 2.75 inches. 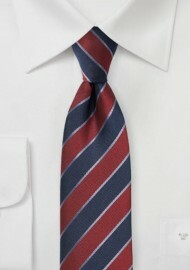 A great tie for fitted suits with narrow lapels. Our tip: wear this tie with a light blue dress shirt and a charcoal suit for your next job interview and we guarantee that you will make an excellent first impression. Made from woven microfiber by neckwear brand PUCCINI.